This past weekend we went on a little road trip! 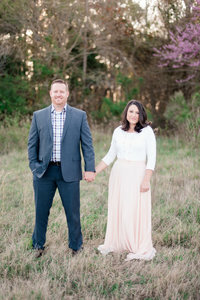 Randy and Heather were tying the knot up in Rapidan, VA. I have never even heard of this city, but I must tell you…. It is GORGEOUS! It is definitely farm country but the scenery is absolutely breathtaking. The wedding took place at a gorgeous 1700 old FarmHouse. I love old homes. The history and the detail of these homes captivate me. I loved how they had their ceremony set up. Heather walked out of the house and down a little hill and met Randy in the middle. Friends and family were seated just below them. I think the best part of the whole day was their poems. They each wrote poems to one another and it was so sweet! I didn’t take Randy for the Poem writing guy, but it was perfect! Heather & Randy are not the kind of people that like a lot of attention on themselves. So it was hard to throw a big wedding. However, they definitely pulled it off and it was beautiful. We wish them both nothing but happiness! Here are our favorites from their day!